Tall and so thick you want to bushwhack through it. Impressive. However, this extremely invasive plant infests the banks of our Sand Creek. Working to keep the Greenway healthy, our city partners work hard to contain and suppress its growth. 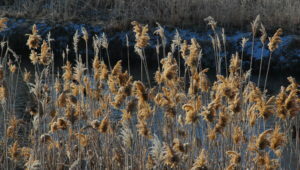 It is Phragmites (pronounced frag-might-ees) or Phragmites australis, a common reed that is found around the world. The speed of its growth and the dense nature of its stands are the problem for places by Sand Creek, for it chokes out native plants, and significantly reduces the biodiversity of our creekbank. Once established, infestations can become a fire hazard, which, in our dry climate, can be a serious concern. 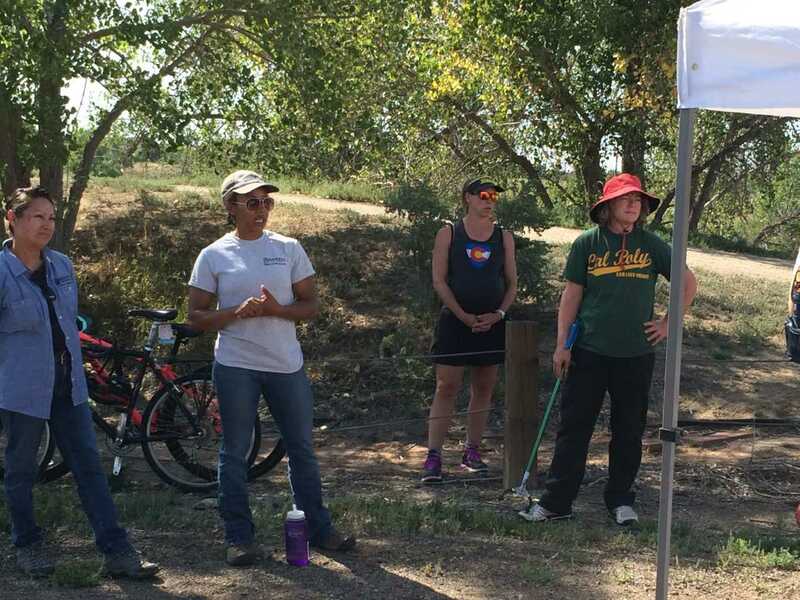 Our partners with Denver Parks and Recreation’s Natural Resources Operations Program – and our other two cities—Aurora and Commerce City–are working hard to control and eradicate this species from Sand Creek Greenway. A large stand exists just south and east of our Smith Road Trailhead area, to the east of the confluence of Sand Creek and Westerly Creek. 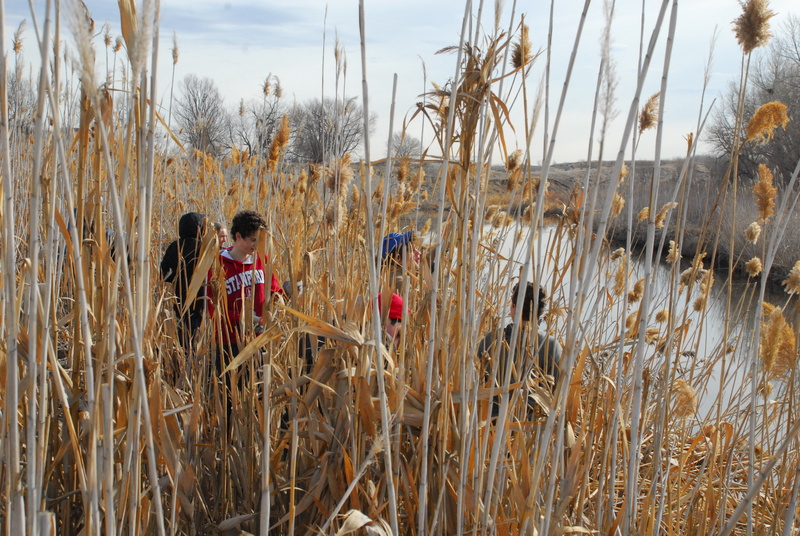 Every effort to remove Phragmites makes our Greenway and our Sand Creek healthier.